FL4 edge sealant pen for RDF72 PREMIUM shielding window film. 10 mL. Absolutely necessary! Absolutely necessary edge sealant FL4 for our RDF72 PREMIUM window film. Without this sealant, the edges of this shielding window film corrode. The FL4 edge sealant pen is the final touch for applying the RDF72 PREMIUM shielding window film. 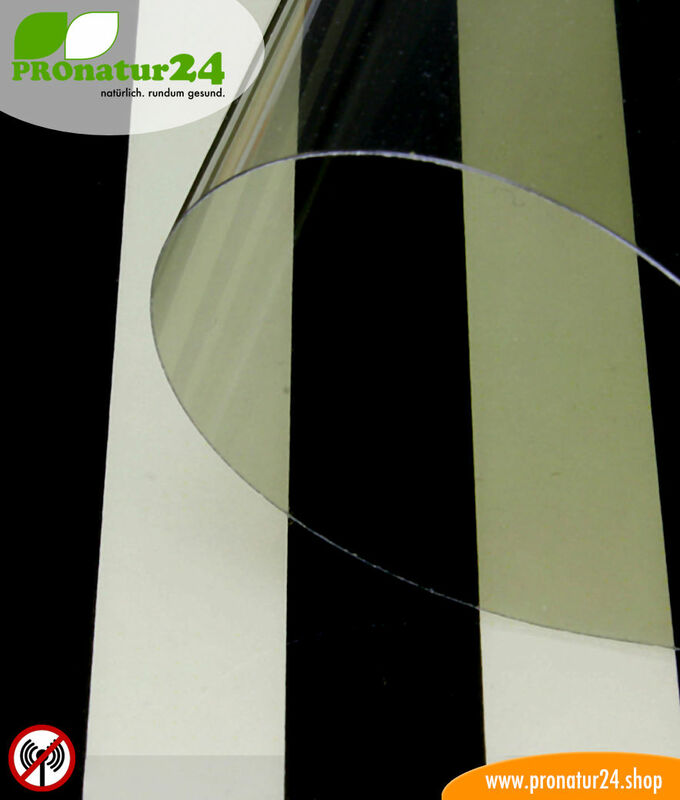 The edge sealant is strictly required for the RDF72 PREMIUM shielding window film. Without the protective varnish, the RDF72 PREMIUM window foil corrodes at the edges a short time after applying it because of the 12 metal layers. The sealant is applied approx. 8 weeks after sticking the window film on. Yield: 10 mL of edge sealant is enough for approx. 100 meters of foil edges. This is equal to cuts of about 20 running meters of RDF72 PREMIUM window foil. Scope of delivery: 1 pin edge sealant with 10 ml content with which the seal can be easily and effectively applied. 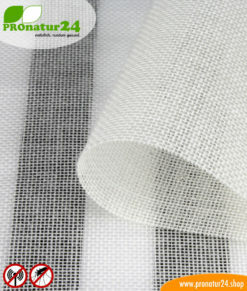 SILVER TWIN shielding mesh / fabric for curtains. Up to 57 dB attenuation of high-frequency radiation, can be grounded for LF protection. 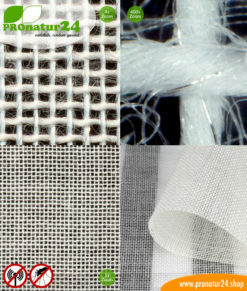 NATURELL shielding fabric for curtains and canopies. Up to 38 dB attenuation against electrosmog caused by RADIO, WLAN, DECT, etc. 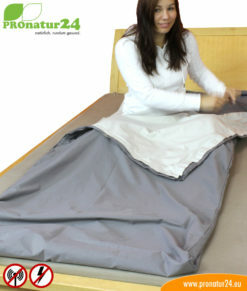 ULTIMA shielding fabric for curtains and canopies. 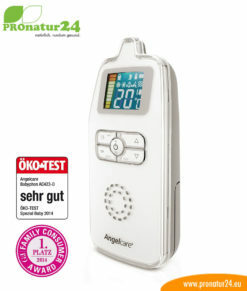 Up to 41 dB attenuation against electrosmog caused by RADIO, WLAN, DECT, etc. Sleeping bag TSB electrosmog PRO – all-inclusive SET. A great addition for HF electrosmog (up to 35 dB) and LF protection for out and about!